When there is a discussion about alcohol, it is natural that people have mixed reactions concerning the topic. Some are in favor of it while others are against it. 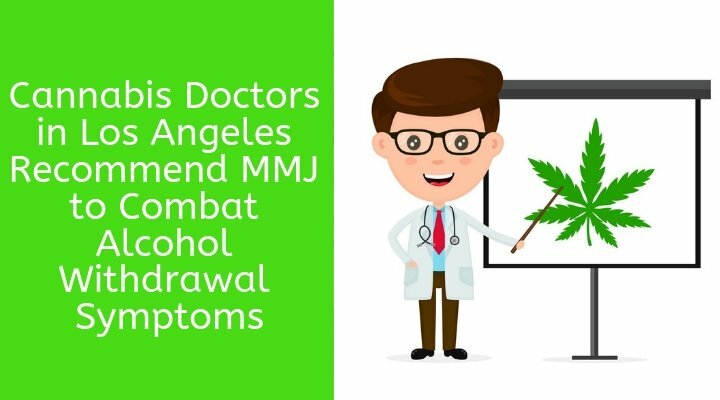 Cannabis doctors in Los Angeles clarify that alcohol, when consumed in moderate amounts, is definitely fine for any person. In fact, various studies have confirmed that when consumed in the right amounts, alcohol reduces the cases of anxiety as well as depression. But, if someone indulges in binge drinking, then it will certainly affect the person’s mind, body, and health. According to the Alcohol Institute of Alcohol Abuse and Alcoholism, alcohol poisoning kills six people every day. 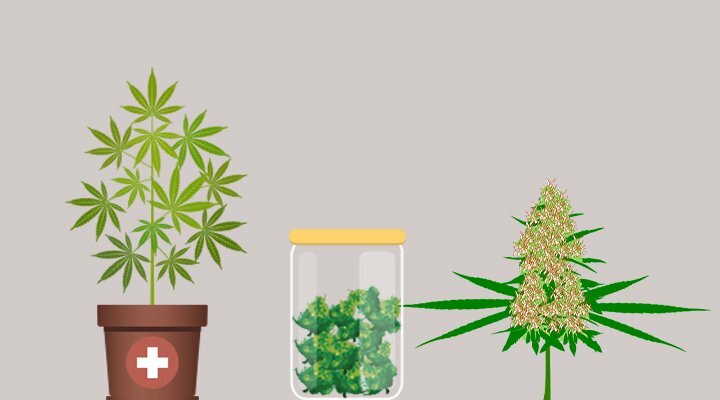 How Can Medical Cannabis Be Beneficial? Alcohol modulates the neurotransmission capabilities of the “reward center” of the brain. This region is known for normal “self-care” behavior. So, when alcohol is consumed more than the recommended limits, the brain reward system supersedes a range of feelings. Medical cannabis has proved its efficacy by manipulating the endocannabinoid system of the central nervous system. Cannabis plays a crucial part in modulating the effects of the “reward system” by inducing feelings of satisfaction, well-being, and others. A study published in 2014 studied the impact of alcohol on the CB1 receptors. They found that CB1 receptors were tremendously diminished in the alcoholic people. And, as you might have known that, medical cannabis can activate the EC system significantly, thereby improving the functionality of the human system effectively. The same concept was proved in a study published in 2015 which confirmed that one of the cannabinoids of cannabis, CBD, has the ability to modulate the neuronal circuits which were earlier disrupted by the long-term addiction. Thereby, improving the functionality of the EC system in the absence of naturally-occurring endocannabinoids. Medical cannabis has proved its efficacy in a range of medical conditions. Even, mmj doctors in Los Angeles and other cities of California are recommending it as an alternative medical therapy for managing a number of medical conditions. A study published in the Journal of Neuroscience showed that medical cannabis has potent neuroprotective properties. Hence, acting as a protective agent against the damage caused by alcohol primarily in the brain stem. It also confirmed that cannabis readily alleviates severe craving symptoms as well as improves recovery significantly. Another study published in the Liver International Journal confirmed that more than 10% of alcoholics showed lower cases of any type of liver disorders. Hence, medical cannabis offers support for lowering the incidences of alcoholic based liver damages as well. There are multiple reasons that alcoholics can enter that phase of vulnerability which cannabis can effectively alleviate with its incredible therapeutic properties such as anti-inflammatory, neuroprotective, anti-seizure, analgesic, anxiolytic, and many more. Unlike alcohol, cannabis has no reported fatal dosage issues. So, it’s definitely a better alternative instead of alcohol for getting the required high along with its innumerable medicinal benefits. Even a study conducted by British Columbia in Vancouver revealed that more than 40% of medical cannabis consumers were opting for cannabis instead of alcohol to prevent any risks involved with alcohol abuse. This is primarily the reason why cannabis doctor in Los Angeles is recommending consuming cannabis for alleviating withdrawal symptoms efficiently.